Condition: Good, minor defects from handling. Few light stains, please study image carefully. Overall size: 35.5 x 54 cm. Image size: 23 x 27 cm. Description: Antique bird print titled 'Le grand Sucrier, ou Sucrier du Protea Femelle'. Beautiful print of the Cape Sugarbird (promerops cafer). 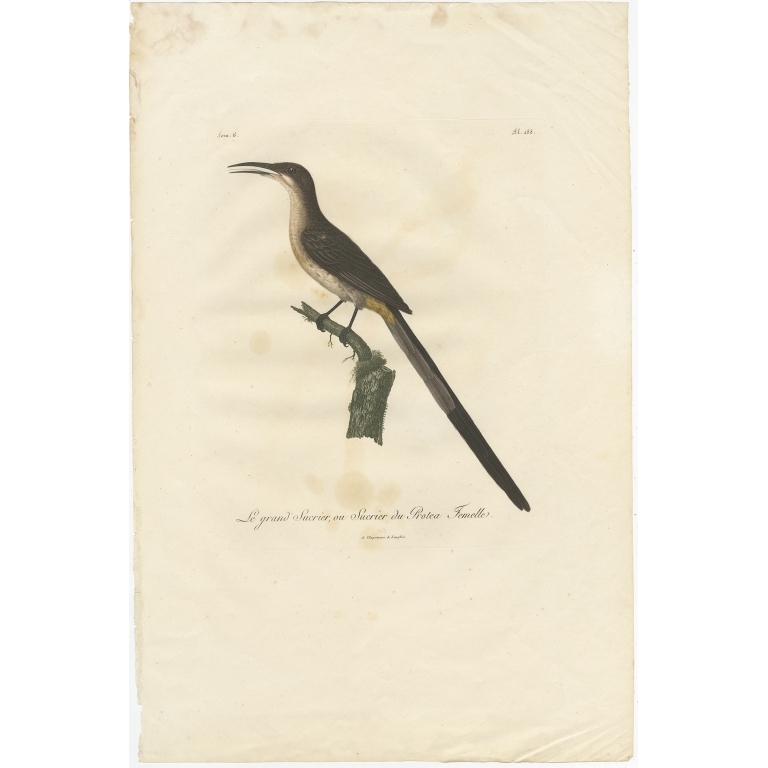 This print originates from 'Histoire naturelle des oiseaux d'Afrique'. 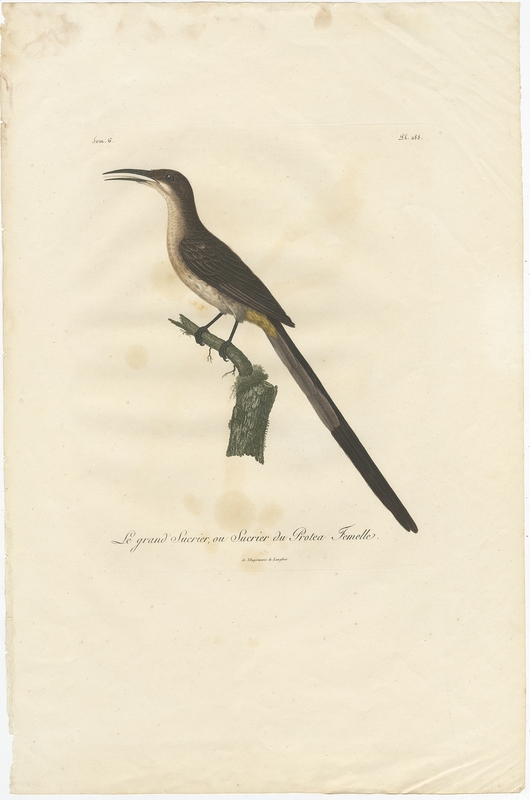 Artists and Engravers: Francois Levaillant (1753-1824) was a French author, explorer, naturalist and ornithologist. He described many new species of African birds.